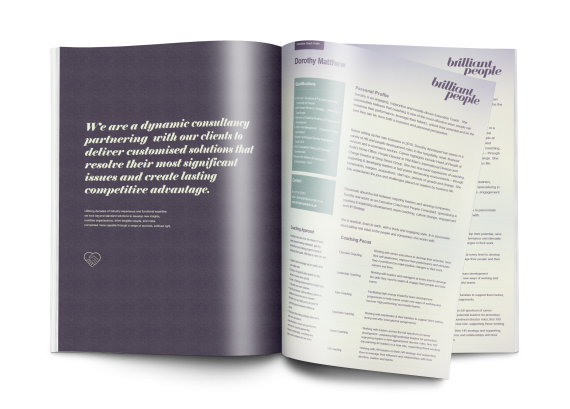 We are a dynamic consultancy partnering with our clients to deliver customised solutions that resolve their most significant issues and create lasting competitive advantage. Utilising decades of industry experience and functional expertise, we look beyond standard solutions to develop new insights, mobilise organisations, drive tangible results, and make companies more capable through a range of services. Our approach is creative and pragmatic, building on our years of commercial experience in fast paced, high performance, customer driven organisations. We are known for our energy, action focus and passion for driving commercial performance through people. We are experienced in developing and delivering high impact interventions and leading large scale change in organisations. All of our associates have held a number of senior leadership roles and are able to share relevant real life examples. Importantly we understand the challenges & complexities involved in leading large teams, and this enables us to appropriately challenge and support the leaders we work with, with credibility and empathy. A key part of our brand is our ‘real world, tough love’ approach which means we are able to drive learning and commitment to change to the next level. We believe that outstanding performance can be achieved through positive partnerships and trusted relationships.